Summerhall has agreed to move all of its workers off zero hours contracts and follow a series of “Fair Fringe” guidelines following talks with the Unite trade union. Staff recruited for the festival will be offered minimum contracts hours of 30 hours a week and be guaranteed to be paid at least the minimum wage. 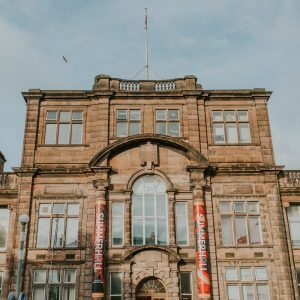 The announcement, made in a joint statement between Summerhall and Unite, is likely to increase pressure on other venues to meet the union’s demands or run the risk of bad publicity during the Fringe. The Summerhall deal, which has been revealed just days ahead of the start of this year’s festival, will also see all festival workers given four weeks notice of rotas they are expected to work and a pledge to keep 100 per cent of all tips. The venue is the first to unveil a shake-up in its plans to pay staff since a new code of conduct was published by the city council at the end of May in response to growing demands for action to end the alleged exploitation of staff working in Fringe venues. At the time the council said the new commitments, which were drawn up following talks with union representatives and event organisers, were aimed at protecting the reputation of Edinburgh as “the world’s leading festival city”. The Unite union launched a Fair Fringe campaign last summer to call for an end to the use of zero hours contracts and unpaid “trial shifts.” Campaigners also called on festival workers to come forward with evidence of poor treatment in venues. Its proposed charter included providing legally-entitled rest breaks, 100 per cent tips for staff and full consultation on all rota changes. Summerhall has been one of the leading venues on the Fringe since it was created in the city’s former vet school complex for the 2012 festival after the building was snapped up by arts impresario Robert McDowell.